At the age of five, I wanted my hair chopped short, loved guns, and begged to spend every waking minute outside playing in the mud, fishing, or helping my dad trap. I sometimes wonder what on earth my parents thought when they looked at their little girl who was basically a tomboy from day one. There had to be a few times they wondered if I would ever snap out of it, but they never questioned me. Instead they made sure to take my brother and I hunting, trapping, and fishing every chance we could get. As a little girl I preferred to shoot my bow over playing with dolls. Not every kid is like this, but that doesn't mean they won't grow up to enjoy the outdoors. One of the top questions I am asked by parents who hunt is, "What is the best way to get my son or daughter interested in the outdoors?" My answer is easy and always the same, you need to make it fun and never push them. With that said this might disrupt your hunting from time to time, but too bad. 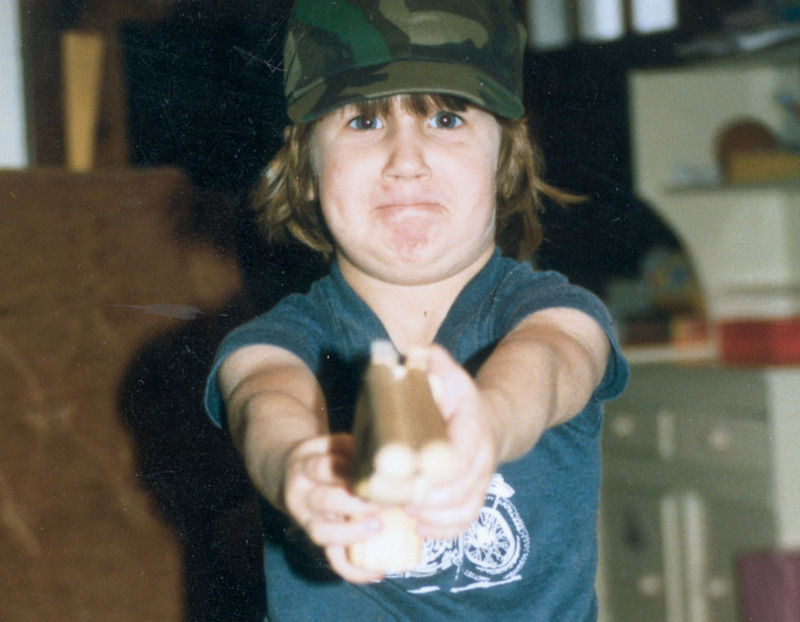 My hair was chopped short, I loved guns, and begged to spend every waking minute outside--I was a tomboy from day one. The first rule when hunting with kids, don't make them stay after they get bored. If a kid gets bored and wants to go home after a few hours in the blind, take them home if you want them to come with you again. You need to make sure they remember the entire experience as fun, not boring. That way next time they will ask to come along again and maybe you will see more game, so they will last longer without getting bored. My 1st duck ever shot on public land during Youth Day in Minnesota. Next, try to take them with you in ground blinds, box blinds, or places where they can move around a little bit. Treestands are tough and can be dangerous, but a blind allows them to sleep on the ground if they get tired, play games, and also makes it easy for them to see what is going on. One very important note, always pack a good lunch and bring snacks! One thing I can remember as a kid is all the good snacks my parents would pack for us when we would go duck hunting. My brother and I would hide under an umbrella in the weeds, play games and eat food until we heard a shot. Then we would run out, grab the ducks, and return to our little hideout. This was the setup at least until we were old enough to join in the action! This may not be the biggest deer ever, but it was my 1st! In Minnesota I had to wait until I was 12-years old to hunt. Once I finally hit age twelve, I couldn't wait for the fall to come! My first days as a hunter were spent duck hunting on youth day out on public land. This is another great way to give your child all your attention and make the entire day about them. Youth days are normally before the regular season is open so the hunting is usually outstanding! When deer hunting came around, my dad basically set his hunt aside and made it his mission to get me a deer. My dad never got on me when I missed (which happened a few times to say the least) and always walked through the thickest brush and gave me the easy route. It was the little things like this that made it an enjoyable experience and hooked me on hunting for life. It had nothing to do with the size of the deer and it was years before I ever shot a racked buck, but that didn't matter. After seeing my mom's big archery buck I wanted to be just like her and become a bowhunter too! To keep a child's interest longer, try giving them a camera to take photos of the deer or whatever you are hunting. This will keep them occupied and give them a way to take home their own trophy, this time it just happens to be in the form of a photo. This works if they are not old enough to hunt, but also if you have a son or daughter who isn't sure they want to shoot an animal yet. The worst thing you could do is push a child to shoot an animal before they are ready. Give them a camera to take along on the hunt and get them out there enjoying nature. Once they are ready to shoot an animal they will let you know, and it will be their decision. Regardless of whether or not your kids plan on hunting, it's a great idea for them to go through a Hunter's Safety course. Not only does it familiarize them with guns it will also make it easier for them to hunt in the future should they change their mind one fall. Obviously most hunters have guns in their homes so making sure your kids understand safety and how they work is important, regardless of whether or not they hunt. There are a lot of day camps now that allow the kids to get together, learn about the outdoors and complete their hunter safety. 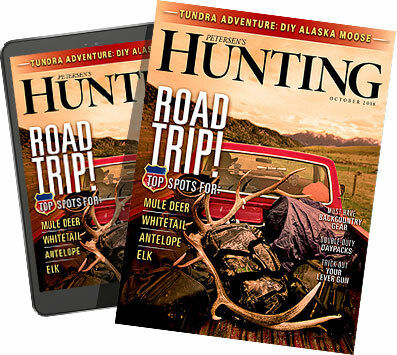 Lastly if you have a little girl, make sure to show her photos and video of other women and girls who hunt. A lot of young girls have the misconception that they will be teased or treated like a boy if they want to hunt and that is simply not true. The more female hunters a little girl can see, the better your chances of grabbing her interest. I know growing up there were very few female hunters, but lucky for me I had my mom to look up to! I'm not writing this as a parenting session because I know nothing about raising kids. What I do know is what caused me to fall in love with the outdoors. Patience, dedication and a lot of time and support by my parents! Every weekend we would spend time as a family duck hunting on public land near our home.